Dr. Robert Bruccoleri established Congenomics LLC to provide expert scientific computing consulting to the biotech and pharmaceutical industry. He has over 32 years of experience in computational biology and chemistry as well as scientific computing. 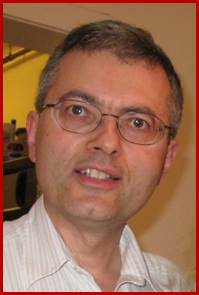 Dr. Bruccoleri is trained as a molecular biologist as well as a computer scientist, and has maintained a wide range of knowledge throughout his career. He has been characterized as a "jack of all trades and a master of many".